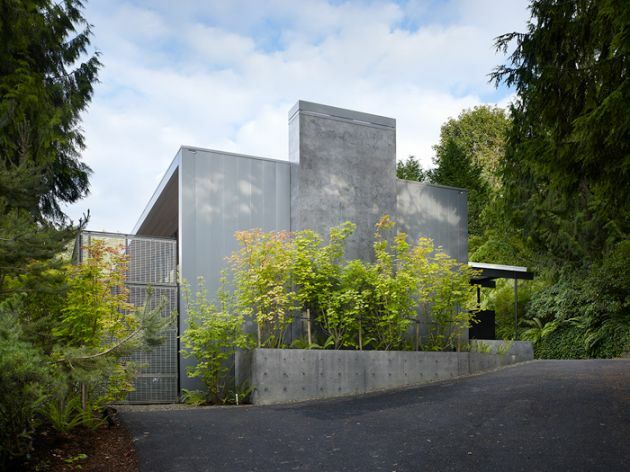 Chadbourne + Doss Architects have completed a new home on Mercer Island in Washington State. 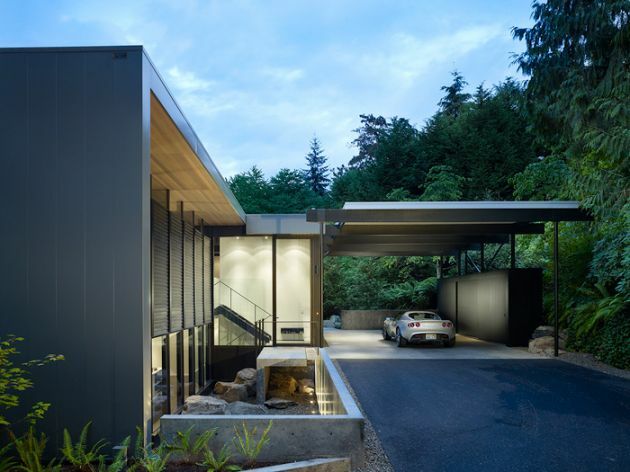 Located on the west side of Mercer Island, Washington, this house is a reconstruction of one of iconic Seattle architect Fred Bassetti’s earliest designs built in 1962. Fronting a busy street, we wanted to root the house to its sloping wooded site and provide a protective shelter for family life. 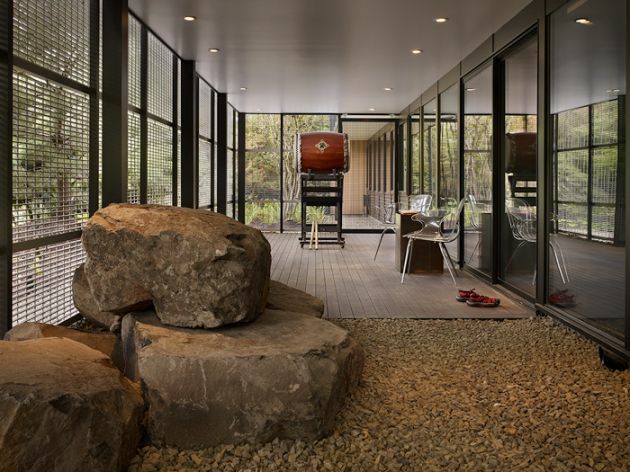 The plan is opened up allowing for large family gathering spaces and perspectives throughout the full length of the house. 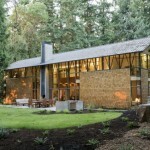 A new metal skin with interior cedar liner wraps over the roof and grounds the house to the site. 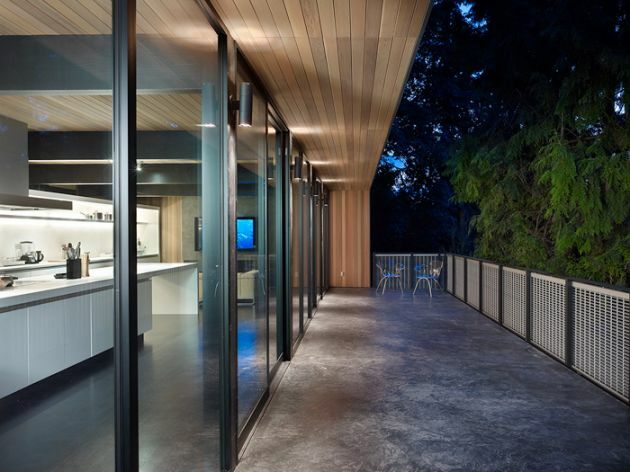 An aluminum bar grating screen encloses an exterior patio and deck filtering interior views and forming a sparkling and diaphanous wall from the street. 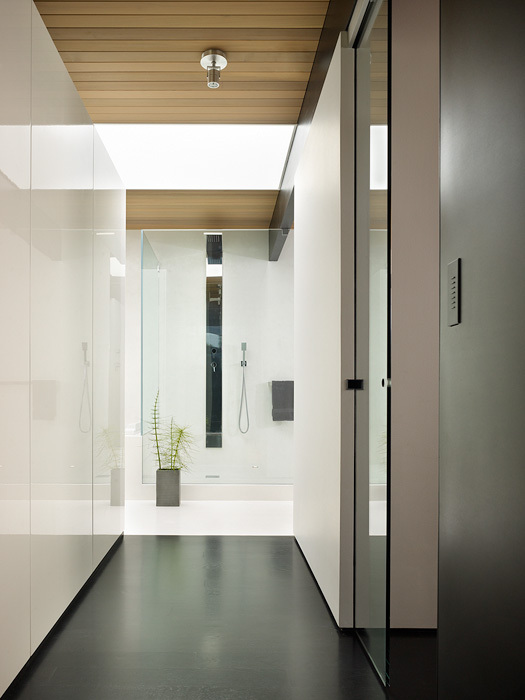 The entry approach is redesigned with a cantilevered concrete landing in a sunken courtyard and a 4’ x 11’ pivot door to the interior. 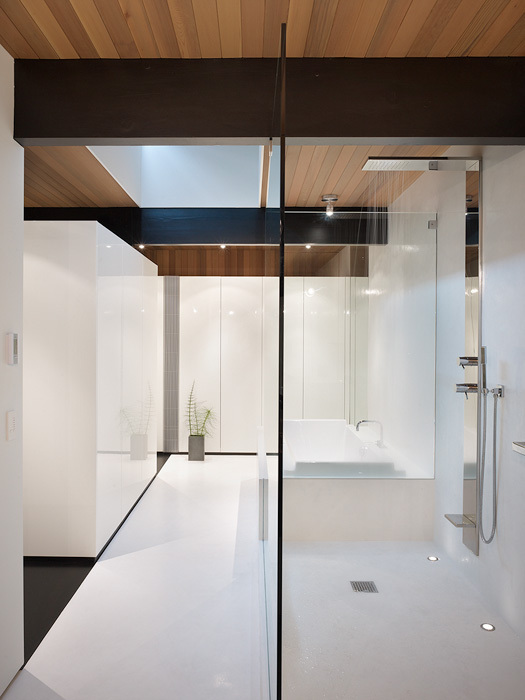 Bathing spaces are ethereally bright, smooth and seamless. 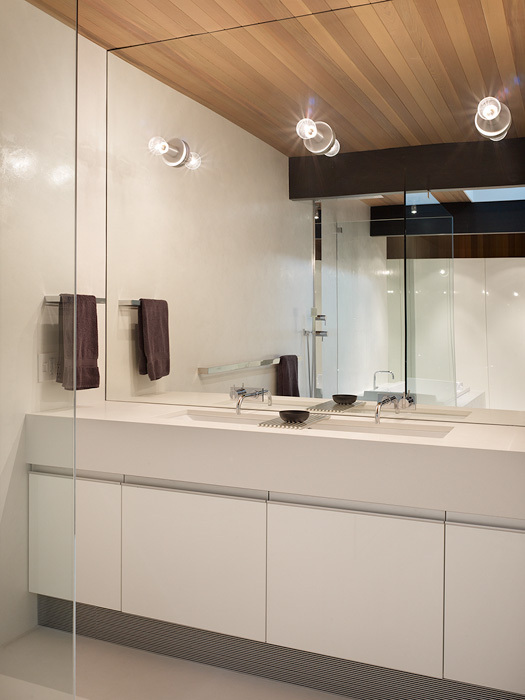 Materials throughout are natural but installed and crafted in an extremely crisp manner. 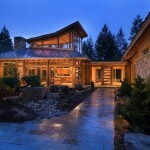 Visit the website of Chadbourne + Doss Architects – here.